Less and less interested in things and more and more interested in things there are no words for. By things I mean events, happenings, sports scores, celebrities, fashion, restaurants, movies. Now understanding at least the skeletal outlines of the past I can’t wait for the future, though I’m too old now, too set in my ways to return to a new life as a woman. Advances in technology, transgender transformations, interstellar rocket ships to the moon, oceanic exploration, so on and so forth, pale in comparison to the silence I am lucky to sometimes experience and that I have no words for. 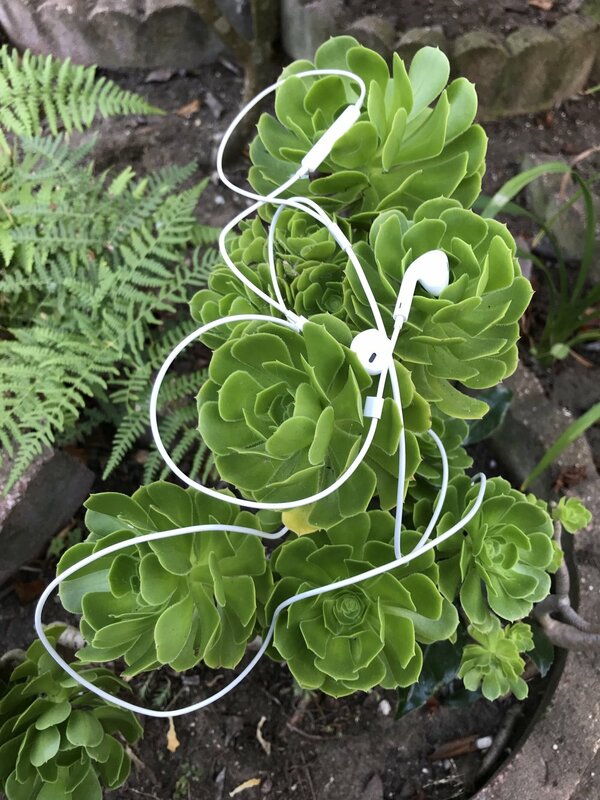 ‘Succulent and Earbuds’: garden composition, September 20, 2018, San Francisco.